Telekinesis are an up and coming two man outfit, driven by the creative minds of Smooth and Markoman. After working together for an extended length of time, they developed the 'Telekinesis' alias, and have begun to see immediate success. Receiving DJ support from artists such as; Pendulum, Matrix & Futurebound, Chris Renegade, Diesel Boy, Ed Rush, Audio, Black Sun Empire, Optiv, Inside Info, Subsonik & Tallon and amongst many others. You can expect much more to come from this rising production duo. This time it was Telekinesis's task to serve a delicious and mouthwatering EATBRAIN podcast, number 007. 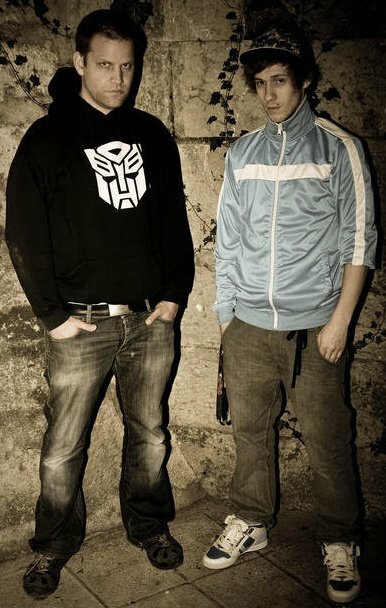 Eatbrain is the drum and bass imprint of Jade, the Hungarian neurofunk producer/DJ. They are cooking a mixture with the best ingredients, such as brains and guts.